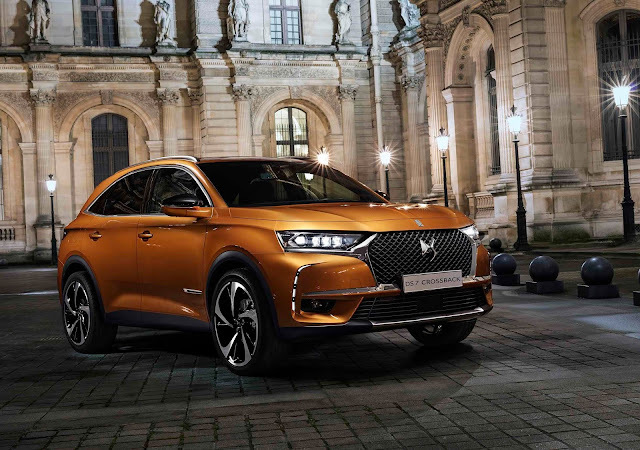 French carmaker DS believes their new premium DS 7 Crossback will disrupt the compact premium SUV segment with its very competitive pricing, unique styling, spacious interior including 555 litres of loadspace, its four richly specced grades, the huge comfort it offers as well as the model's best-in-class annual road tax and warranties that include 5 years unlimited mileage, and 5 years roadside assistance, writes Trish Whelan. Irish prices at launch are from €36,000-€60,245. This luxury car is the first of a new generation of models being introduced by DS Automobiles. It’s a car that DS feel very passionate about and having driven it at launch earlier today, I can understand their enthusiasm. In size and space the car crosses both the C & D SUV segments so some competitors are from the class above. Direct competitors include Jaguar’s E-Pace and F-Pace, Volvo’s XC40 and XC60, BMW's X1 and X3, the Mercedes GLC-Class, and Audi's Q3 and Q5. At the launch at the Intercontinental Hotel in Ballsbridge, Dublin 4, innovation and savoir-faire from Paris, bespoke and personalised vehicles were the order of the day. Grades are: Elegance, Performance Line (expected to be the volume seller), Prestige and Ultra-Prestige. This luxury motor is aimed primarily at ‘high milers’, trailblazers, trend enthusiasts, motorists looking for a new and premium car with unique sensations. They will have a choice of four different interior styles; four high performance, punchy and efficient engines and 15 breakthrough features. Engines include two petrols and two diesels. PureTech petrol engines are the 4-cylinder PureTech 130 with a 6-speed manual gearbox and the PureTech 180 with the new 8-speed (EAT8) automatic gearbox as standard. Two turbo charged diesels are BlueHDi 130 with manual gearbox and BlueHDi 180 with an automatic gearbox. A fifth engine version arrives in Q1 of 2020 as the high-performance Plug-in Hybrid petrol-Electric Vehicle (PHEV) - ‘E-Tense 4x4’, which features a 16 turbocharged four-cylinder PureTech petrol engine. This engine is mated to an 8-speed electrified automatic transmission. DS 7 Crossback has best-in-class fuel economy and lowest C02 emissions in this compact premium SUV segment; annual road tax throughout the line-up is from €190-€280. 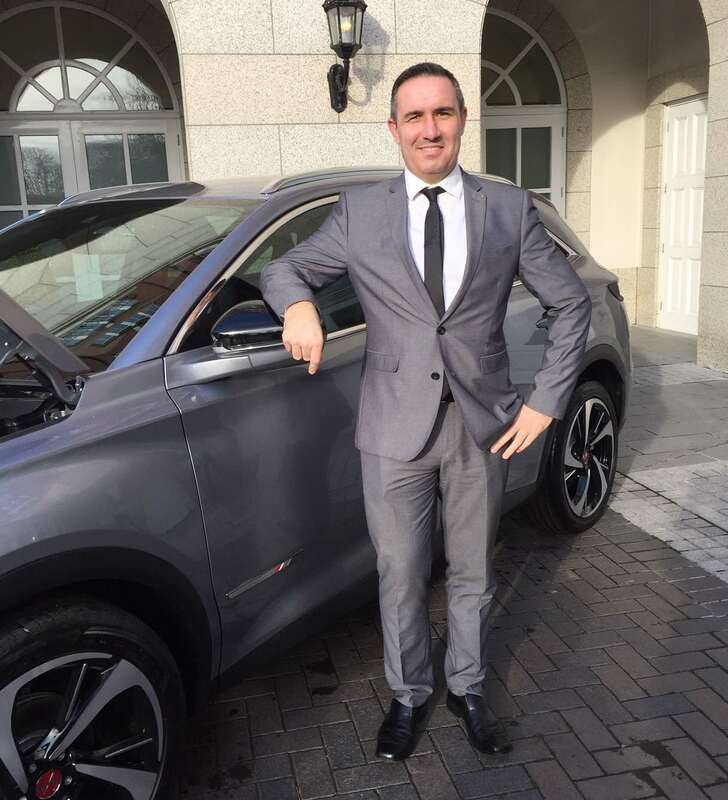 Damien Smyth, Dealer Principal/Director, DS Airside, Swords. The car is currently available exclusively from DS Airside, Swords, Co Dublin in their new state of the art DS Store which is open for business. Dealer Principal / Director is Damien Smyth. More details on the DS Crossback tomorrow.